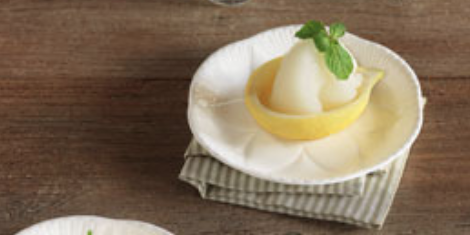 This tastes just as you would imagine: light and tangy, with the lingering flavour of mint. 1 Combine sugar, mint, lemon rind and 125ml water in a saucepan, stir over low heat until sugar dissolves. Stir through glucose then lemon juice and strain (discard solids). Freeze in an ice-cream machine according to manufacturer’s instructions. 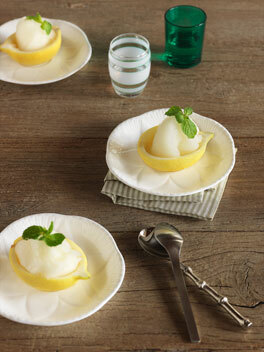 Serve scoops of sorbet in hollowed-out lemons, if desired, and garnish with extra mint leaves. This recipe is from the September 2009 issue of Australian Gourmet Traveller.